Christmas is such a festive time of the year. Stores start stocking Christmas merchandise before Thanksgiving is even over, Christmas trees are put up before the big feast of leftovers have even been put in the fridge, and the cheer is so infectious. And why shouldn’t it be? There is so much cheer to spread around in the community, at work, and even in your own home. You can see happy faces as the holiday approaches, experience the giving spirit, and possibly see family that you do not get to see too often throughout the year. This Christmas spirit is amazing, and you can bring it into your own home with flowers. Flowers are beautiful and a great option for so many occasions, so bringing flowers into your home for Christmas is the perfect opportunity to let your own Christmas spirit shine. Seasonal poinsettias. Poinsettias are commonly used for Christmas décor, such as floral arrangements. From Santa Claus in his red suit, standing in the soft white snow, to the green Christmas trees that will adorn many homes, the seasonal colors that people showcase are usually red, green and white. 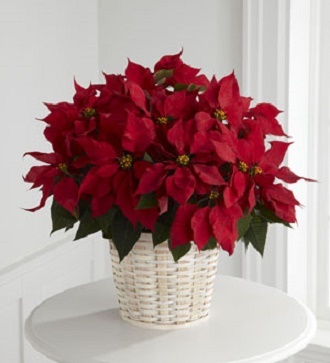 The poinsettia will help you bring gorgeous hues of red to your floral arrangement. However, there are quite a few different hues of poinsettias that could be up to the task of adorning your arrangement, such as white and pink. These beautiful blooms will add a pop of color to your flowers and celebrate the season beautifully. Amaryllis. In many places, the ground will be coated in a blanket of snow for the season of Winter, causing a cold chill to set in. People often look forward to this cold weather, as they will be able to finally pull out those fluffy coats, build snowmen and have snowball fights, warm up some delicious hot cocoa, providing the Christmas spirit throughout town. Add a feeling of warmth to your home as well with the comforting flower Amaryllis. 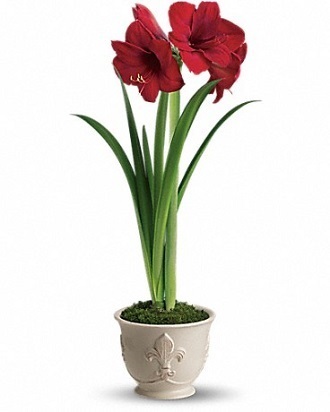 Bold in red color, the Amaryllis celebrates the season beautifully with its vibrant and seasonal appeal. Ilex. The gorgeous Ilex, also known as Winterberry, is the perfect reflection of the holiday season. 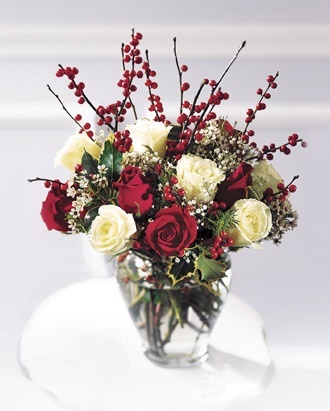 The bold red berries among a gorgeous branch can be incorporated within any floral arrangement, adding the perfect hint of winter for your Christmas décor. Also, they are beautiful all on their own, if you are seeking an alternative to the traditional blooms. Christmas is a wonderful time of year, filled with cheer and festive spirit. It is such an amazing opportunity to bring this spirit to your floral arrangement, so that it can fill your home or office with the holiday cheer. 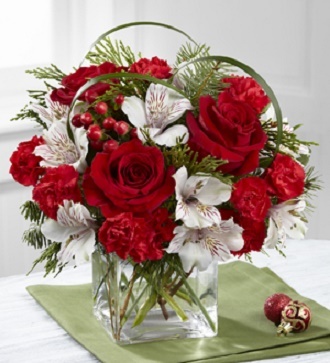 Here at Texas Blooms & Gifts, we offer a large variety of blooms, perfect for you holiday arrangements. If you are ready to create a unique floral arrangement, be sure to contact us today. This entry was posted in christmas, flowers, holiday flowers, poinsettia and tagged #flowers, Christmas Flowers, Texas Blooms. Bookmark the permalink.